Fire is unpredictable, spreads in seconds and can decimate a home within minutes. House fires endanger everyone in the home and even small fires that are put out quickly often result in thousands of dollars of damage. 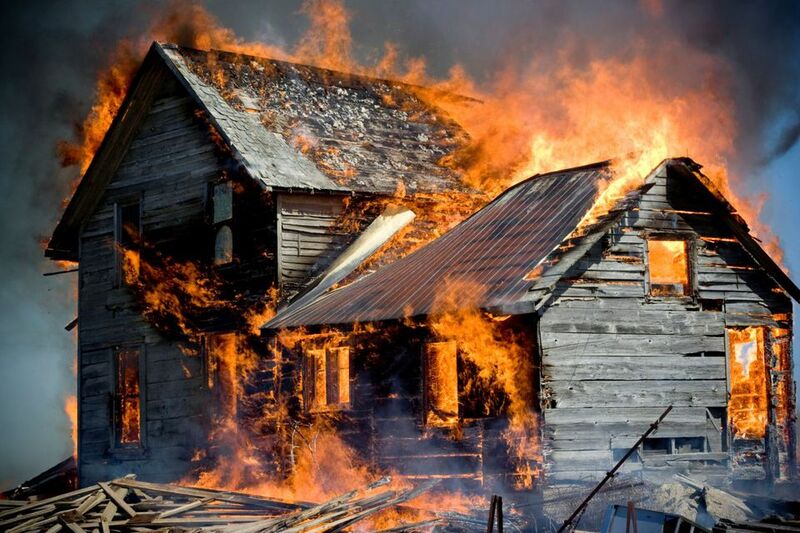 Having a proper insurance policy is essential to help mitigate the financial losses associated with a house fire, but it is far better to prevent the circumstances that frequently lead to a fire in the first place. Fires can be electrical or chemical in nature. There are multiple classes of fires based on how the fire started. Everyday objects easily become combustible under the right conditions. Identifying and lowering these risks help you lower your chance of a house fire, keeping your family and property safer. Cooking fires are among the most common types of house fires. Grease is highly flammable once it gets hot enough, and it is difficult to get the flames out once they start. Never leave the kitchen when cooking something with grease. Many kitchen fires start because the homeowner left food cooking unattended. By the time the fire is discovered, it’s usually too late. Never leave a burning stove unattended either, and thoroughly clean your cookware to prevent grease from building up over time. Home heaters cause fires when fabrics and other combustibles are left too close to them. Some heaters require fuel, such as kerosene, that ignites or blow up when not properly watched. Always follow the instructions on any heating device you use. Inspect it before using to ensure it is in good condition. Electrical heaters cause fires as well, especially if the electrical wiring in the heater is going faulty. Never leave the house with a heater running. Smoking is hazardous to your health in many ways, but it can also cause a house fire. Smoking in bed is especially dangerous, and should always be avoided. All it takes is a single stray ash to ignite a mattress, blanket, carpet, or piece of clothing. Smoke outside whenever possible, or smoke over a sink while using an ashtray to help reduce your fire risk. Burning candles are very dangerous when left unattended. If the candle falls over, or if something is left too close to the flame, a fire starts almost instantly. The matches and lighters used to light candles are equally dangerous if left in a place where children can reach them. Keep matches and lighters locked in a secure place if you have kids, and never leave a candle burning in a room you aren’t currently residing in. Electrical fires result from faulty wiring or an outlet being overloaded. If you plug a device with a faulty cable into an outlet, it might spark and cause a fire as well. Has your home’s wiring been checked out by a professional electrician, especially if you live in an older house? Never plug more power into a circuit than it is designed to handle. Chemical fires are also extremely common. If motor oil, cleaning chemicals, or other flammable liquids get too hot, they either ignite or explode. It’s also not just the chemicals themselves that require care. Vapors are often more flammable than the chemicals themselves. Rags that had previously been soaked in flammable chemicals will spontaneously ignite if vapors build up and get too hot. Store all chemicals in their proper containers, and keep them in locations that don’t heat up too much. Dispose of cleaning rags safely, or wash them thoroughly enough to remove flammable chemicals. Christmas trees are a holiday tradition for many families, but they come with some risks. Real trees tend to dry out over time. By the end of the holiday season, the tree is a potential tinderbox. A hot light or a spark can immediately set the tree aflame, and the fire spreads very quickly. Fake trees are safer in this regard, but an electrical fire from a bad wire or an overloaded outlet is still a risk. Never leave a Christmas tree lit, real or fake, when you are not at the home. Check the tree regularly to ensure it is not too dry and that all of your lights are working properly. Regular diligence is needed to ensure flammable items in your house are properly stored, and that heat sources are never left unattended. A single mistake can result in disaster, so take the extra time to keep your home safe. Do I Need Carbon Monoxide Detectors in My Home? What Are the Pros and Cons of Hiring a Home Security Guard?